Any excuse to visit Belfast, right? After a gap of 13 years, I was blown away by the quality of food when I went there in January. 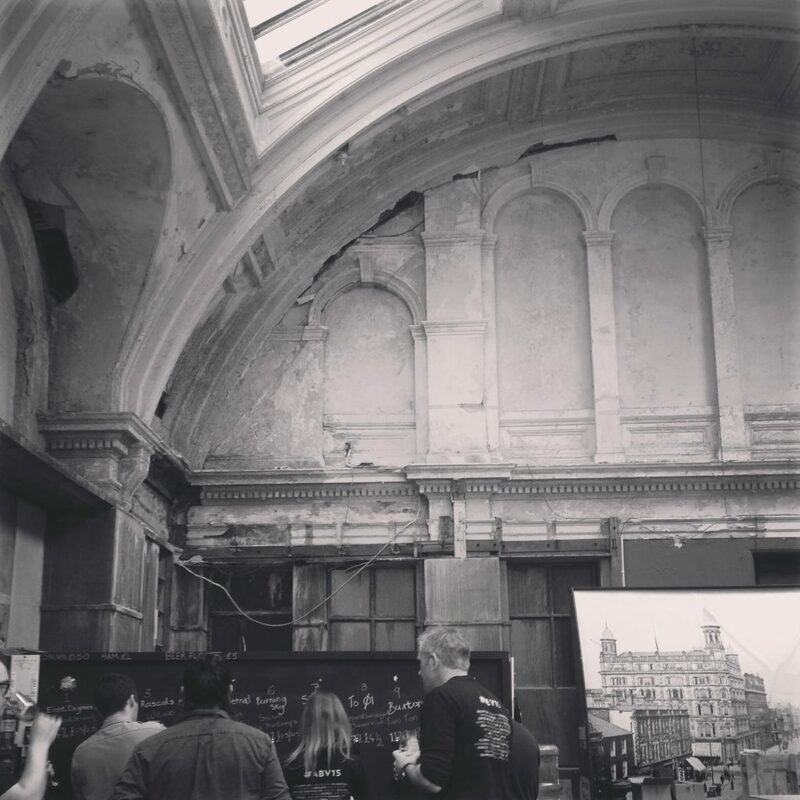 I jumped at the chance to return in May for the ABV15 Beer Festival, the first of its kind, and held in the historic Harland and Wolff Titanic Drawing Offices – a spot that normally isn’t open to the public and that will soon be closed for “redevelopment”. Five hours in a car (with two smart-arse boys) was worth it, every minute. ABV15 was put together on a wing, a prayer and with a never-stand-still, can-do attitude by a team of four: Felicia (Prohibition Drinks), Darren (Pokertree Brewing Company), Matthew (Boundary Brewing) and freelance photographer Michael. Someone’s always got to ride in the back of the car. Couldn’t resist a pre-beerfest trip to Established Coffee. Just out of shot, one of their stand-out filter coffees while the Kiwi and Aussie gave the thumbs up to the flat whites. While there, I also picked up a loaf of sourdough from Zac’s Bakehouse, which survived a whole night hanging around at ABV15, a long hot drive from Belfast to Cork and still tasted amazing for the next week. There was also some cheese and beer action, with the Eight Degrees Brewing boys acting as my minions for the night while I conducted an orchestra of: creamy St Tola and The Full Irish IPA, the incredible Young Buck Cheese with Russian Imperial Stout, and – just to finish off in style – Double Chocolate Porter Brownies. This all took place in the ballroom of the the White Star’s SS Nomadic, a 104-year-old steamship that’s known as “Titanic’s little sister” – and, fortunately for tasting events, still above water. Work done, we devoured this smoked pulled pork sandwich from Farm & Fork, run by William from The Bay Tree in Holywood (make sure you check out their legendary cinnamon scones if you’re ever nearby). Some incredible beers pouring, including the rich Beavertown Spresso, bright and zingy Liverpool Tart from Mad Hatter and the knock-you-down 17% ABV To Øl Directors Cut Reparationsbajer. Check out www.abvfest.com for more details on that festival. Foodtalk’s Spices up for World Food Media Award!